Salary/Benefits and Career Advancement are the top two factors for attracting talent in China according to the ZW HR Workforce Survey 2015. ZW HR Consulting, Leaders in mid-senior level recruitment conducted an exclusive HR Workforce Survey 2015, where HR professionals from diverse industry sectors in China, indicated that Salaries and Career Advancement are top factors for attracting and retaining employees in China. 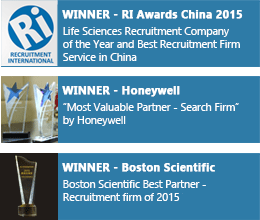 The survey was rolled out to over 4,000 HR professionals across China. It found more than half of them (77%) cited Salaries and Benefits as the most important factor, and (51%) cited Career Advancement as the second highest, while (26%) cited work life balance as the third highest factor when considering attracting talent to their organizations. According to Mr. Frank Yu, Chairman, ZW HR Consulting, “The findings will have profound implications for employers who want to attract and retain the best people. Many are facing an uphill struggle to recruit qualified professionals, and if an employee can get more money elsewhere by undertaking the same role, they are highly likely to leave. As such, it is essential for employers to ensure their salary levels are competitive with the market rate. This is particularly important in industries where there is a skills shortage, such as IT, Life Sciences etc”. The survey also shows the significant increase in the importance of work-life balance with 26% of respondents considering work-life balance to be a critical factor in attracting and retaining talent. In fact, it’s now so important that most of the employees would start looking out for a new job if they felt their current job is having negative impact on their work-life balance. Inflexible work arrangements is one of the important reason top talent leaves an organization. “Aside from one’s personal capabilities and efforts, career development and advancement opportunities very often are dependent on a company’s culture and background. Such organisations tend to focus on employee advancement in terms of training, education, effective promotion models and internal mobility. Most employees, particularly ambitious, driven individuals, will want to see that there is a career path for them in the organisation. If this is not the case and they are offered it elsewhere, it will be very difficult to retain them” added Mr Yu. As well as the salary, employees will also want to receive favourable benefits which suit their needs and lifestyle. According to the survey, the typical benefits that would play a part in attracting new talent include flexible working arrangements, health benefits, car allowance, gym membership, child care leaves and other allowances. It is well worth investing in benefits or perks, as it is more costly to recruit and train new people than to offer good incentives to stay. Flexible workplace practices like working from home are great motivators and can actually help save money too. Having flexible work arrangements in place can help organisations retain their best talent. Talented people seek out opportunities to grow, and they gravitate to organizations that offer plenty of opportunities to do so. Professional development is significantly important to people of all skill levels and positions, and to be a company known for offering and encouraging growth opportunities can help you attract and retain highly skilled people. Mr. Yu concluded, “Employers must attract and retain talent by providing right attributes to enhance career advancement. Motivational levels typically drop drastically once executives are no longer able to see where they are going in their careers, and these professionals end up thinking they have to look elsewhere to fulfil their career aspirations. Employees want benefits that go beyond flexible hours. Workers also want to be able to work from home, bring their own devices, purchase additional annual leave and get discounts on gym membership and insurance. ZW HR Consulting provides recruitment solutions focused on mid-senior level professionals. Originally founded in Shanghai in 1998, ZW HR has since grown into one of the biggest and oldest headhunting recruitment firms in China. With 11 offices across Asia, ZW HR Consulting currently has over 200 employees. As of 2012, ZW HR Consulting has become an exclusive member of InterSearch Worldwide. Established in 1989, InterSearch ranks as one of the top international executive search alliance organizations in the world, with 100 offices in over 50 countries.